Time is money. The most important factor for foreign investors is legal certainty but also predictability and clarity. Among the top priorities of investors are also the level of tolerance for corruption, the speed with which trade disputes are resolved, the quality of institutions. This can both be the conclusion or the introduction to another tool of the European Commission for exiting the eurozone crisis which evolved long ago into an architectural-cultural-institutional problem of the EU, masked otherwise under the light slogan "united in diversity". Digging deeper it becomes clear that we, in the EU, indeed are united when a crisis comes because of the interconnectedness of the member states' economies, but when it comes to seeking the closest exit from the crisis, diversity reveals sometimes seemingly unsurmountable differences. That is why, the European Commission has proposed in the past years various means to facilitate that search. One of the tools, introduced last year as a supplement to the European semester, is the Justice Scoreboard. This is the first attempt to analyse the judicial systems of the member states addressed entirely to their role in economic performance. According to the European Commission, the quality, independence and efficiency are the main components of an efficient judiciary system because when judicial systems function well this creates an environment for sustainable growth and social stability. This is precisely why the reforms of the judiciary are part of the package of measures for adjustment of the bankrupt euro area member states in exchange for financial assistance provided by IMF and EU. In 2013, the scoreboard caused heated polemics and that, a year later when the 2014 edition was presented, appeared to be its biggest advantage. The scoreboard uses various sources of data, mainly from the Council of Europe, Eurostat, the World Bank, the World Economic Forum and European judicial networks. Last year, it was precisely the sources of information that were severely criticised because it was believed that for the sake of more sense and depth the scoreboard should be prepared by the European Commission. Certainly the scoreboard will evolve, but for now it provides a really good picture of the situation in the member states. One of its big flaws is that it does not define more precisely the various legal traditions because almost half of the EU member states went through radical transformation of the political, economic and judicial systems in the past 10-15 years which has an impact on their overall performance. And although not sufficient attention is paid to that issue, the transformations are obvious in the scoreboard because, last year, the Commission included the flaws it found in its country-specific recommendations. It found such in ten countries and not all of them went through such a transformation: Bulgaria, Spain, Hungary, Italy, Latvia, Malta, Poland, Romania, Slovenia, Slovakia. These countries were recommended to improve the independence, quality and/or efficiency of their judicial systems and to further strengthen their judiciaries. Out of these ten countries six were identified in 2013 as facing the most serious challenges in terms of functioning of their judicial systems. These are Bulgaria, Italy, Latvia, Poland, Slovenia and Slovakia. Time is money, but how much does justice cost? The scoreboard the Commission presented on March 17 this year does not represent in its essence a ranking, despite the temptation by some media to present it precisely like such. The best consequence of it are the discussions. 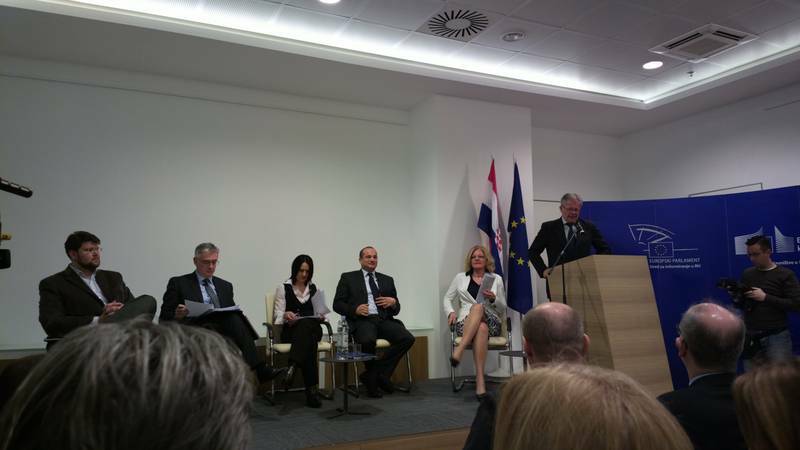 And this is precisely what happened in Croatia this week when in the House of Europe the representation of the European Commission in Zagreb organised a very high level discussion. It brought together the minister of justice, Orsat Miljenic, the president of the Supreme Court, Branko Hrvatin, the chairman of the parliamentary Constitutional committee, Pedja Grbin and Austria's ambassador in Croatia H.E. Andrea Ikic-Boehm. Croatia for the first time takes part in the scoreboard and is a very interesting example. This is the EU's newest member which joined in July 2013 after it went through a little bit tighter bolter in the negotiations process and this definitely delivered, especially in terms of the judiciary. One of the big pluses which the justice minister outlined is the availability of statistical data which are absent on many of the indicators for some member states. The reason is that with Croatia the process of negotiations had a much stronger focus on the judiciary (after the failure with Bulgaria and Romania) and that is why a lot of relevant statistical data had been gathered. What actually makes Croatia an interesting example, however, is that on the one hand the country's origin is a state subject which was part of the communist camp before 1989, but the big difference with the other countries from that camp is that former Yugoslavia's economy, its citizens and its politics had access to the economic system of the then West. This duality is especially evident in the European Commission's scoreboard. On the one hand it is visible in the money spent for justice in Croatia which is around the EU average. This includes the salaries in the judiciary system which, too, are near the EU average. The results, though, are not even close to the average on many of the indicators. This is precisely what Justice Minister Miljenic said. The money is here, the people are here, the means are here, the laws are harmonised, but the results are not good, although there is a trend of improvement. The gross annual salary of a first instance professional judge in Croatia is 29 184 euros which is 2.3 times higher than the average gross annual salary in the country. The EU average is 45 578 euros. Regretfully, in Bulgaria, that salary is 14 345, but it is 3.2 times higher than the average gross national salary in Bulgaria. In the same time, in Croatia there are 45 judges for every one hundred thousand people which is more than twice higher than the EU average (21 judges). In Bulgaria, there are 31 judges per 100 000 people. As Branko Hrvatin, the president of the Croatian Supreme Court, Croatia is second after Slovenia in the EU in terms of a number of judges per capita. A main reason for this, to some extent controversial situation, is precisely the transition from one system to another. The justice minister pointed out that whatever depended on the executive has been delivered - laws, including amendments, money, equipment. What is left is for the judges themselves to reform the system from the inside and to take their own responsibility for the money they get. Branko Hrvatin accepted the criticism, adding though that judges are still in a process of learning. Something which was evident in the comments by Bulgarian judge Neli Koutskova, although said it in the context of the new mechanism for protection of the rule of law, presented also this month by the European Commission. 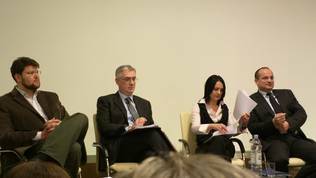 Mr Hrvatin said that the only way to restore trust in the judiciary was to accelerate work of the courts. In his words, however, there was an odd contradiction. I am not sure if this was sincerity or simply a feeling that he was in a close circle, but the Supreme Court chief made, in my opinion, a shocking admission. When he was given the floor in the beginning of the discussion, he said that he wanted to be as brief as possible to allow questions and a discussion with the audience. And he recalled that he did just the opposite during meetings with experts as part of the negotiations under Chapter 23 (justice). I knew, he said, that the experts had only an hour time, they gave me the floor and I talked for 45 minutes. They had only 15 minutes left for questions and comments. It is interesting to know how many things from the kitchen of the negotiations could give a much brighter image of the reasons for the results in the European Commission scoreboard. But still, unlike Bulgaria for instance, in Croatia the situation is improving which was confirmed by Austria's ambassador to Zagreb H.E. Andrea Ikic-Boehm. As a matter of fact, a part of the introductory words of this article are hers. As a representative of a country which has invested in Croatia more than seven billion euros since 1993, to her a major focus is the investment environment. "We are happy that the reforms in Croatia continue", she said and this really is a reason for satisfaction because Bulgaria, although being under special monitoring over its efforts to complete the reforms in the judiciary and especially the fight against corruption and organised crime, the reforms are completely stalled. According to Ms Ikic-Boehm, a lot has been done in Croatia for the creation of intolerance toward corruption. Her impression definitely contradicts the feelings of the Croats themselves, as presented in the opinion poll that accompanies the first of its kind report on the situation of the fight against corruption in the EU, presented in February. What she focused on, entirely from the perspective of the investors' interest, was legal certainty, reduction of the duration of proceedings because time is money and clarity. The clearer the laws are written, the less time it will take judges to interpret them, the ambassador added. Pedja Grbin disagreed, however, that the report is good. According to him, it is much worse than the one on corruption because it compared pears with apples. If one looks at the tables it may seem true, but the Justice Scoreboard is accompanied by another document which is 993 pages big and reviews the situation of the judicial systems of the member states according to ten indicators not only three as the main scoreboard does. In the main scoreboard are being compared the efficiency of the judiciaries, their quality and independence. But the big document is actually a study by the European commission for efficiency of the judiciary system (CEPEJ) of the Council of Europe. There, ten indicators are viewed: budget and resources of the courts and the judiciary system; judicial organisation; courts' performance at every stage of proceedings; systems for measurement and evaluation of the courts' performance; legal aid and court fees; ICT instruments of the courts and for court users; career and status of judges; existence and use of alternative methods to resolve disputes; judicial professionals; methods, sources and efficiency of data collection. The document provides comparative tables for all these indicators, but it also offers country-by-country analyses. It is where the picture in every member state is best seen. The tables make it clear that not always money is the only condition to ensure quality and fast justice, especially in terms of trade cases and resolution of contractual disputes. Neither can it provide a precise recipe which is the best body to monitor and control the work of the judiciary. And this is not as important as the question Orsat Miljenic raised about the responsibility of the judiciary itself to provide quality in exchange for the money it is paid. In this sense, it should be noted that Croatia is in the middle in terms of salaries in the judiciary in the EU, but this is precisely where Pedja Grbin is right when he says that pears and apples are compared. After all, it is important to see the correlation with salaries of the consumers of the judiciary system. And it shows that in Croatia the salaries of professional first instance judges are only 2.3 times higher than the country average, while in Bulgaria, which is among the countries pointed by the European Commission as facing severe challenges, the salaries of judges are 3.2 times higher than the country average. This means that the responsibility to the consumers of judicial services is much higher. And here, too, is hard to provide a recipe at common European level because the problems are too specific. One thing is clear, however, until there are no reforms, there will be no prosperity too.